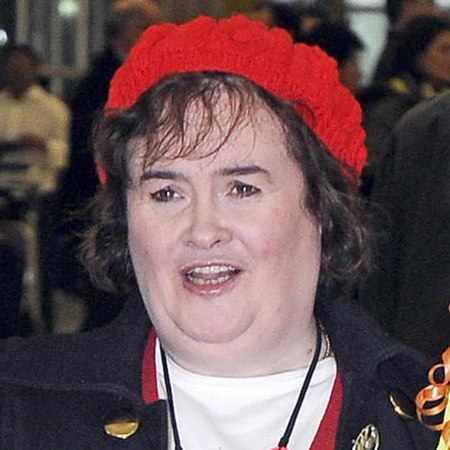 Susan Boyle sobbed and threw peanuts across a first class airport lounge after being snubbed by Lou Reed. Susan broke down at Los Angeles International airport on Wednesday (08.09.10) after she was prevented from performing Lous Reeds’s track ‘Perfect Day’ on TV show ‘America’s Got Talent’, leading her to abandon the programme. An eyewitness told the Daily Mirror newspaper: “Susan was heartbroken at such a mean-spirited snub. She got hysterical wailing, ‘Why doesn’t he like me?’ “ She was eventually calmed down before boarding the 11-hour flight back to the UK, reportedly with two cups of herbal tea and ginger biscuits. It had been claimed management for Lou had stopped her performance with a 100-piece children’s choir at the last minute because he objected to Susan covering the song. A source said: “Lou didn’t want Susan to perform his song – he’s not a Susan fan.” However, the rocker’s representative has denied he blocked the performance, insisting a “glitch” meant it had not been cleared to be performed in the US. Susan, 49, was left with just two hours to rehearse a new song but decided it wasn’t enough time and told organisers she wouldn’t be taking to the stage. Susan Boyle performs In Rockefeller Center & New CD Breaking Records! Susan Boyle to Play Lunch Lady On Glee?